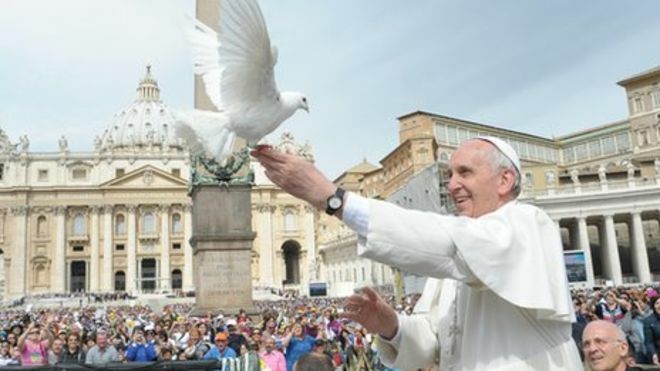 Catholic News World : Pope Francis Prayer Intention for June "That social networks may work towards that inclusiveness which respects others for their differences." Pope Francis Prayer Intention for June "That social networks may work towards that inclusiveness which respects others for their differences." Pope Francis : "Let us pray together that social networks may work towards that inclusiveness which respects others for their differences. The full text of the message is below: The Internet is a gift of God, but it is also a great responsibility. Communication technology, its places, its instruments have brought with it a lengthening of horizons, a widening, for so many people. It can offer immense possibilities for encounter and solidarity. May the digital network not be a place of alienation. May it be a concrete place, a place rich in humanity. Let us pray together that social networks may work towards that inclusiveness which respects others for their differences.